After the close of an eventful transfer window, I take a look back at Everton’s activity in the market. On the back of a disappointing league season last time round, Evertonians were hoping to see an array of new faces at Goodison. Manager Roberto Martinez showed his intent from the off, letting six players leave Goodison, and sending four out on loan. The most notable departures were long-serving defender Sylvain Distin and fellow centre-half Antolin Alcaraz. 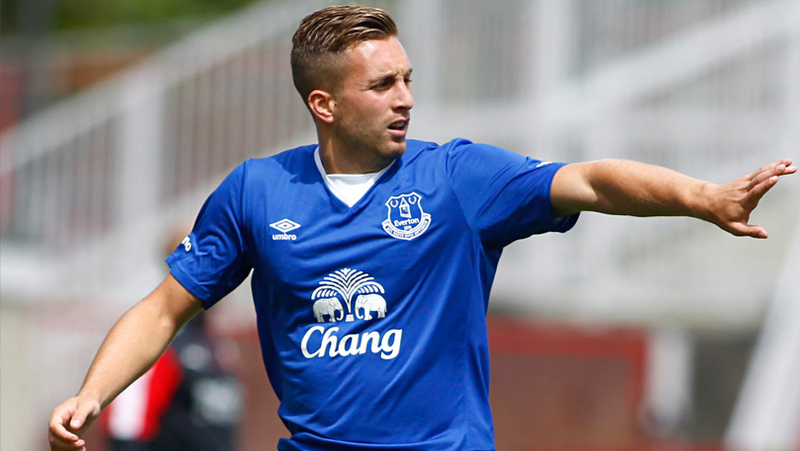 The Spaniard also sent left-back Luke Garbutt on loan to Fulham, a decision that left Evertonians divided. 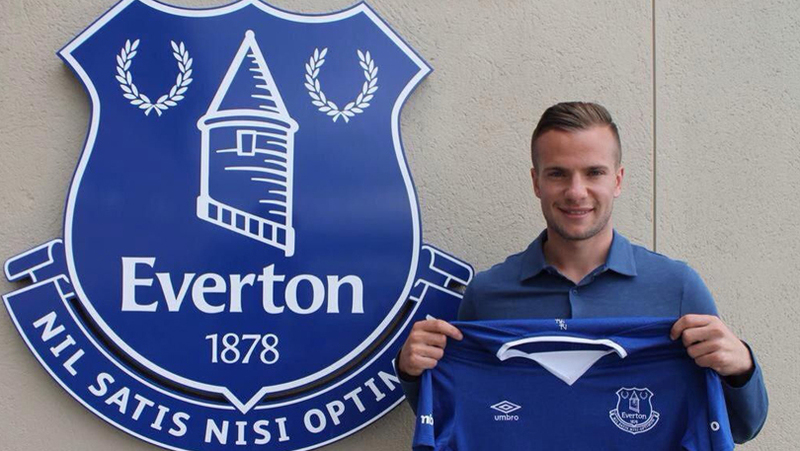 The first new arrival was a very predictable one, as Tom Cleverley arrived on a free transfer. The midfielder made it clear he wanted to join Everton and reunite with his old manager Martinez – who he played under during a loan spell at Wigan in 2010/11 – by turning down a deal at Aston Villa in favour of a move to Goodison. The 26-year-old signed a five-year-deal with the Blues. Next through the door, was without doubt the most exciting signing of the window for the Blues, as fans favourite Gerard Deulofeu returned to Goodison. There was talk of the Spaniard returning for months, however it was unclear whether it would be another season-long loan, just like the 12-month spell in which he made an ever-lasting mark on the fans in 2013/14. It was good news for Evertonians though, as the winger joined on a three-year permanent deal, worth around £4.2M. Youngster David Henen arrived the following day, signing permanently for around £500,000 following a loan spell last season. There was then a lengthy and slightly concerning pause in arrivals at Goodison, as speculation grew over the future of star player John Stones. The defender was persistently linked with a move away from Everton, but the club stood firm, rejected the defenders transfer request and kept hold of the youngster. Roberto Martinez then admitted in early August that he was hoping to bring in a new striker, number 10 and central defender. Twelve days later, 18-year-old Mason Holgate arrived from Barnsley on a five-year-deal, worth around £1M. Although Holgate is clearly a promising signing for the future, it’s clear he is an addition for the current U21 squad, leaving Evertonians twiddling their thumbs on the arrival of three new players. In the final week of the window, Leandro Rodriguez put pen-to-paper on a four-year deal at Goodison, thought to be in the region of £500,000. The 22-year-old striker has the element of unknown surrounding his potential, however Martinez insists he is ready for the first team and will not need time in the U21’s. He will become the first Uruguayan to play for the Blues. Evertonians had to wait until deadline day for their final two arrivals as the biggest deal of the window arrived in the form of Ramiro Funes Mori. The defender was spotted at Goodison days before his capture was made official, and the sudden rise in the fee explains the delay in proceedings. The former River Plate defender was thought to be joining the Blues in a deal worth around £6M, however the transfer fee was eventually reported as £9.5M by the club – the highest fee paid for a defender at Goodison. The fee was higher than Everton had hoped, but it marked the arrival of a much-needed central defender. With nine hours left, Evertonians were still hoping for a creative midfielder they so desperately needed. Yarmolenko was linked throughout the summer and he would have been the perfect playmaker for Martinez’s men, however the rumours lost momentum and the dream deal never developed. Instead, the last arrival at Goodison came in the form of Aaron Lennon, who joined on a three-year-deal following a successful loan spell at the end of last season. The £4.5M price tag seems sensible business from Martinez, as the winger will add more depth to Everton’s squad. Firstly, the way the club handled the John Stones saga deserves massive credit. Martinez insisted the defender is not for sale and Bill Kenwright publically backed his manager by rejecting the 21-year-old’s transfer request, and turning down four big-money bids for Everton’s star youngster. The club was not bullied into any deal by the media and stood firm to show Everton’s intent for the future. Credit must also go to Stones himself though, who has oozed class throughout the unsavoury situation, by continuing to perform to his usual high standards on the pitch. The new deals for transfer-targets James McCarthy and Kevin Mirallas were vitally important for Everton’s coming season too. In terms of arrivals, the club has invested £18.3M on transfers, but are still short in two key areas – attacking midfield and up front. The lack of creativity within the team last season was clear for all to see and it is concerning that after four months of searching, Everton failed to address the matter. It seems that all the eggs were in the Yarmolenko basket, and there were no other avenues pursued. In terms of arrivals, Cleverley has proved to be an inspired addition, immediately improving Everton’s starting eleven and also changing the opinion of thousands of Evertonians, who were uninspired by his arrival. Deulofeu needs no introduction, and when the winger is match fit there is no doubt he’ll be a regular starter and a key man in Martinez’s side. Funes Mori arrives as the most expensive defender in Everton’s history and with that, he has a lot of pressure on his shoulders. The 24-year-old is unproven in the Premier League, but the reaction of River Plate fans to his departure, suggests the Argentine has the potential to become a future star at Goodison. Mori is the left-footed central defender the Toffees have been craving since the departures of Distin and Alcaraz, and there is no doubt he will provide much needed cover at the heart of defence. Aaron Lennon is a familiar face at Goodison and one that adds depth to the squad. I’m not sure he’ll be a starter in Everton’s strongest 11, but he is a great option to have off the bench. Leandro Rodriguez is a striker Martinez sees as part of the first team squad, but with little evidence to back that up, the Blues will be hoping he is a surprise package. It’s fair to say little is expected of the 22-year-old, but if he was to rise up to Martinez’s expectations, he could prove to be the perfect competition for Romelu Lukaku and a real game-changer for Everton’s transfer activity. The areas lacking depth in Everton’s squad are clear to see and that’s why it’s vital we rejected Norwich’s late bid for Steven Naismith, who provides an option behind the striker or if need be, up front. When you weigh up the ins and outs at Goodison this season, I think we have come out of the window stronger. 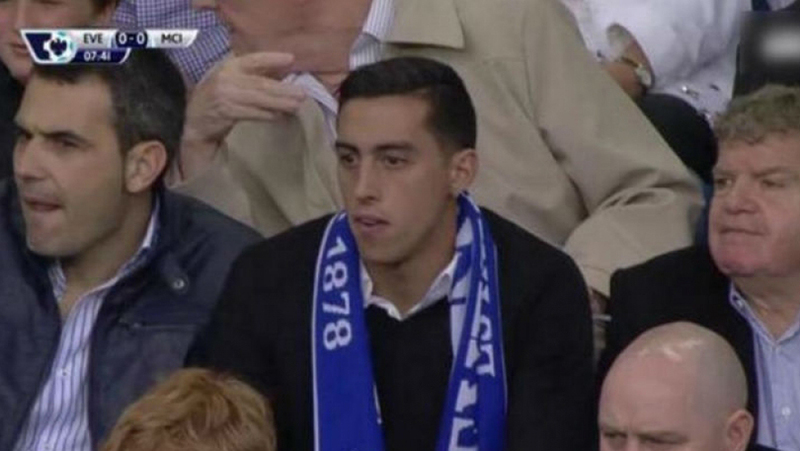 In Funes Mori we have a young, fresh centre half who has replaced two aging defenders in Distin and Alcaraz. We also have two top-class wingers available for selection in Mirallas and Deulofeu. Cleverley provides much needed versatility and competition to a number of players, while Lennon is a better option than Aiden McGeady. There is no doubt the failure to bring in a top class creative midfielder and forward is costly though, and it could be vital in delivering a successful season at Goodison. Also, the Blues are still short in quality replacements should any key players get injured.